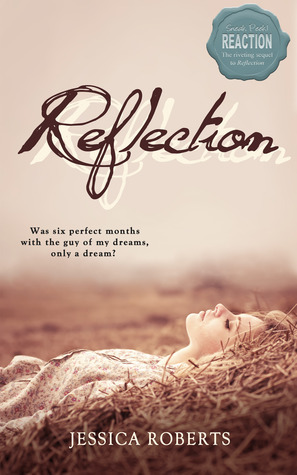 Welcome to my stop on the Reflection Blog Tour hosted by Young Adult Novel Reader. Today I am here with a review of this book. I am impatient. When I start reading a book I want it to be awesome from the very first page. This book is very slow in the beginning so slow that I was questioning myself because all the reviews are filled with positive things. I was sure this is “It’s me, not you” kind of situation. I don’t like NOT liking a book that everybody seems to like because that just makes me feel like something is wrong with me and that is never a good feeling. But thankfully the book majorly improved and the pace got better. I don’t know when but somewhere around the middle I was totally into the book and didn’t care about the world. It’s not the best book I have read this year but it’s not the worst either. It falls somewhere in the middle and these kind of books are hardest to review. My advice if you are reading the book is to be patient and you will end up liking it. It has good writing and the plot is unique and different. In the beginning I almost hated ever character. Heather was whiny and Nick was a jerk. I mean it started out like any other YA book. You know, a sweet innocent girl crushes over a mysterious, quite, hot guy but he pushes her away and acts like a complete jerk which only makes her attraction grow. Yeah, so that’s not new and I am kinda tired of it. But the book kept surprising me. Nick turned out to be really cute when he started opening up and talking. I loved his family and I warmed up to Heather. She is actually quite fun when she is being herself. They work good together and their romance was sweet. I liked reading the parts when they were together. The idea was new and different and I haven’t read something like this before. Have any of you seen the TV series Bones? The character Booth had a similar condition as Heather. That was a cute episode. The secondary characters are also interesting and as you get into the story and understand it better, the book grows on you. I have a feeling I would like the second book more simply because I now like the characters and care about them. I am quite excited about the next book. I would love for you to come on over to my blog today for the Reaction (Book 2) launch party!